Dennis Rodman was arrested by Miami Beach police in November 1999 and charged with assaulting his wife, actress Carmen Electra. Charges were dropped later that month. The former NBA star was arrested one month later in California (bottom mug shot) and charged with DWI. 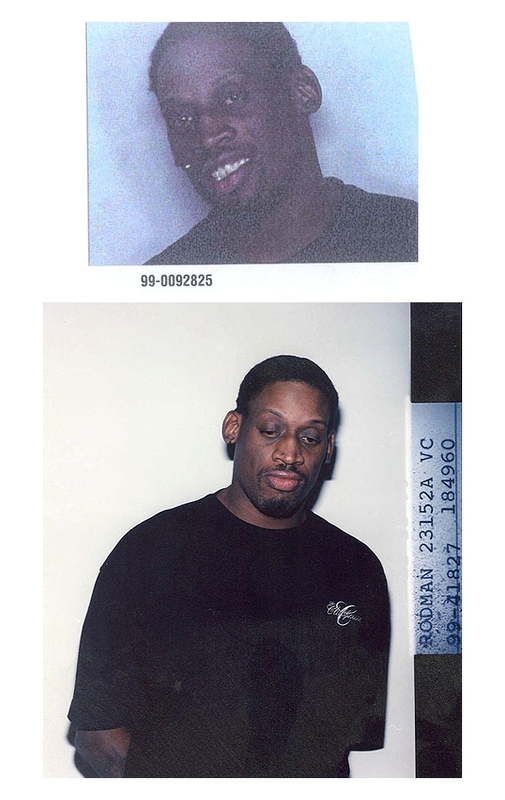 In July 2000, Rodman pleaded guilty to drunk driving and driving without a valid license charges. He was fined $2000 and placed on three years probation.